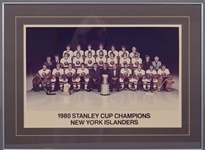 This spectacular studio-mounted image presented to Clark Gillies by the New York Islanders shows the franchise’s first Stanley Cup-winning team. The Islanders beat Los Angeles, Boston and Buffalo to reach the finals before Bob Nystrom scored the Game 6 overtime winner over Philadelphia to set off pandemonium in the Nassau Veterans Memorial Coliseum. At approx. 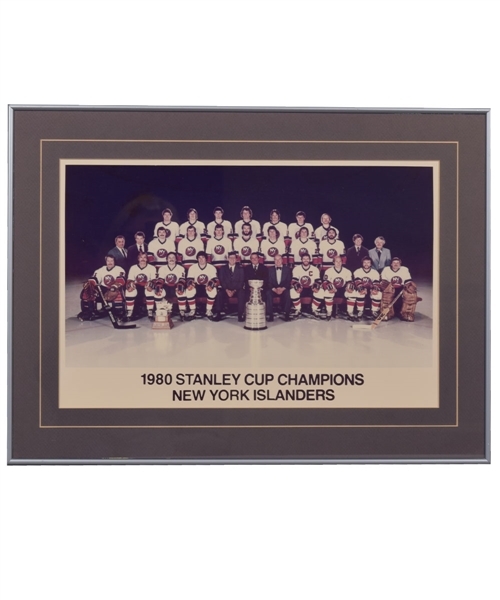 13” x 20”, the large colour photo pictures the full squad along with management, with “1980 Stanley Cup Champions - New York Islanders” across the base. 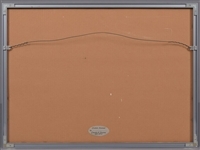 Matted and framed to full dimensions of 19” x 25 ½”, the photo exhibits a few surface wrinkles, with just light wear to the frame. A signed LOA from Clark Gillies will accompany.